Walter White’s journey from mild-mannered teacher to really evil person is coming to a close, but your journey from Schraderbrau-swilling simpleton to master chemist of cocktails has just begun. 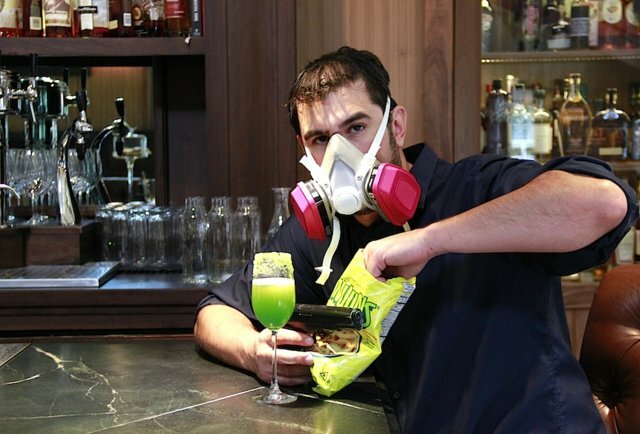 We’ve enlisted our own set of Heisenbergs — David Shenaut and Alan Akwai of mixology superlab Raven & Rose in Portland — to cook up these amazing Breaking Bad cocktails you should deftly create, and take to the face. Sorry, Gus.